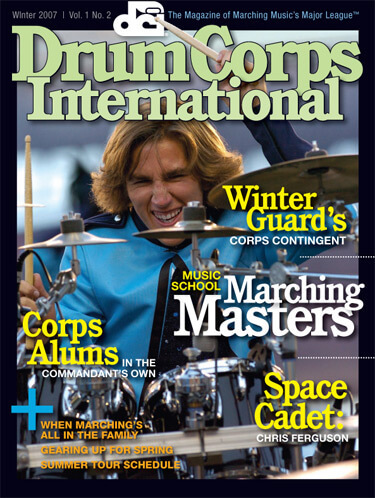 What's inside the new winter issue of Drum Corps International Magazine? Lessons you can learn in brass, percussion and color guard, the latest gear for marching musicians, "Sideline" news and notes from Drum Corps International, and more! Subscribe to Drum Corps International Magazine.